With convenient access by funicular from the centre of St.Moritz, Corviglia has some good easy runs. Intermediates will be able to take full advantage of the ski area - Corvatsch offers plenty of reds on which to hone your skills and Corviglia is a favourite for its long runs which bring you back to town. There is excellent scope for advanced skiers with several Olympic runs in the Corviglia area or head over to Corvatsch for the 8km challenge all the way down to Surlej and the Hahnensee and Lejins black runs. With superb cruising terrain to suit any boarder, and several snow and obstacle parks, this is a paradise for all levels. Skiers have miles of tracks to choose from, exploring lateral valleys and all the frozen lakes of Engadine. 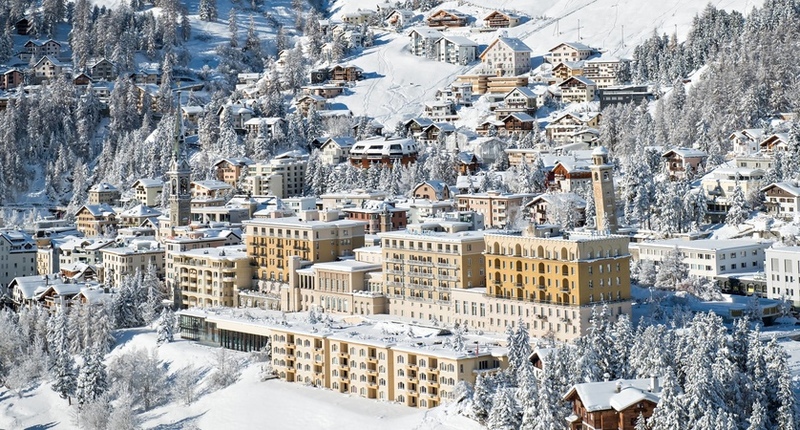 In a fantastic central location right in the heart of St. Moritz, this stylish hotel is furnished in a Belle Epoque style throughout and enjoys wonderful views of the frozen lake and mountains from many of the well-appointed rooms. Holidays by rail from the UK also available. New resort bus connection between Corviglia and Corvatsch cable-car stations, free of charge with lift pass.